STMicroelectronics (NYSE: STM), a global semiconductor leader serving customers across the spectrum of electronics applications, will showcase its state-of-the-art solutions for cloud connectivity, Smart Industry, and sensing, featuring a cutting-edge humanoid robot at SEDEX 2018 (COEX, Seoul, October 24-26, 2018). Sure to be a highlight of this year’s show, the humanoid robot integrates at total of 47 ST products, including STM32 microcontrollers (MCU), motion sensors, digital compasses, ToF (Time-of-Flight) sensors to detect distance and movement, pressure and temperature sensors to recognize environmental information, MEMS micro-mirrors for video projection, and MEMS microphones and Bluetooth® low energy network processors for external communication. The robot demonstrates the potential of ST’s solutions for applications in Smart Industry, Smart Home, healthcare and others. At SEDEX 2018, for the first time in Korea, ST will also present its forthcoming AI (Artificial Intelligence) tool for processing edge-computing data in the IoT (Internet of Things) domain. This demonstration will show several examples on how to use ST’s high-performance STM32 microcontrollers to recognize screen images, voice commands, handwritten characters, and human activity using sensors. All examples are based on Deep Learning, which can enable many advanced applications, such as Smart wearable or voice-controlled devices. A leading sensor manufacturer, ST will highlight its ToF distance-ranging and ambient-light sensors, which allow users to measure distances of up to 4 meters. The STM32L4+ -based TouchGFX GUI solution for smart watches and highly compact (3.3 x 3.3.mm), high-precision 10-bar water-resistant sensors are expected to draw the attention of the wearable and mobile-product makers. Visitors to the booth can also check out ST’s new industrial sensors targeting next-gen automation and industrial-solution markets. The sensors combine a 10-year product longevity, with high measurement resolution and optimal stability, maintaining leading-edge precision over time and temperature changes. ST’s solutions for cloud and connectivity exhibited at SEDEX 2018 will include a demo of a convenient and efficient connection to Microsoft’s Azure based on low-power STM32 MCUs; a software package for Amazon’s Alexa Voice Service (AVS), a cloud-based voice-recognition service allowing interactive UI control; an STM32WB MCU with wireless capabilities that simultaneously supports Bluetooth LE 5.0 and IEEE 802.15.4 by integrating a high-performing Arm® Cortex®-M4 and Cortex-M0+ dual core; the S2-LP, a Sigfox IC that implements Sigfox AIM (Assisted Inter-zone Mobility) and a Sigfox Monarch solution that integrates Bluetooth LE 5.0 IC; and a high-security (CC EAL5+) solution for logging into the AWS cloud based on the STSAFE-A100 Secure Element. 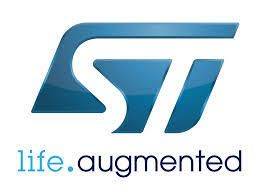 ST will also showcase its NFC and eSE/eSIM products that support secure-payment systems for wearable devices. ST’s offering for Smart Industry/Industry 4.0 includes smart-lighting solutions based on NFC Type 5 Dynamic tag ICs that support PWM output and ISO/IEC15693; ACEPACK™ power module packages optimized for DC/DC and AC/DC converters and inverters; inrush current restrain solution for thyristor-based AC/DC input terminal; STSPIN motor-driver products; and the innovative powerSTEP™ system-in-package integrating stepper-motor controllers and 8 power MOSFETs. Offering a fast and efficient path to prototype new IoT designs, ST will also showcase its STM32 ODE (Open Development Environment) with a wide range of STM32 Nucleo MCU development boards and extension boards. For more information about SEDEX 2018, visit www.sedex.org.